Yes, this discount will last for at least three months. It’s also possible, though not confirmed, Ford will extend this offer past July. So not only is this a good deal, but it also applies to all trim levels, including the 365 hp Taurus SHO, powered by the 3.5-liter twin-turbo EcoBoost V6. 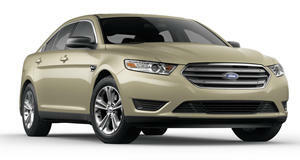 The all-wheel-drive Taurus SHO previously carried an MSRP of $44,070, including the $1,095 destination charge. Do the math and the discount brings that figure down to $41,070. The base trim SE will now begin at $25,895. There is one caveat: this incentive is only good for Taurus sedans that arrived on dealer lots at least 61 days prior to the sale date. It’s also important to mention this offer cannot be combined with special finance, lease, and other similar incentives. Even with a few minor restrictions, this is still a great deal for anyone who still prefers a sedan over a crossover. One of the Taurus’ main rivals, the Dodge Charger, is still very competitively priced, even with the discount. 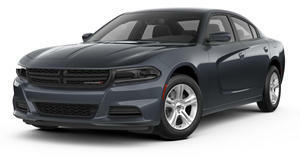 For example, an AWD 292 hp Charger SXT begins at $33,320. The Charger trim with the most similar output to the Taurus SHO is the RWD-only $35,995 RT, powered by a 5.7-liter Hemi V8 with 370 hp. But if your heart is set on an AWD full-size sedan with more power than a base Mustang EcoBoost, the 2019 Ford Taurus SHO is waiting. Get one before they’re all gone for good.